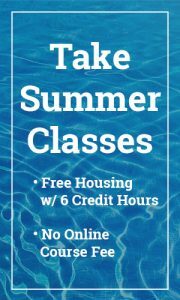 The following links will provide guidance to you and your family with paying tuition, applying for financial aid, and general payment options. At Shorter University, students have the option of paying their bill online through credit or check. Credit cards accepted are VISA, MasterCard, and Discover. A service fee of $10 is charged for credit card and e-check transactions. After clicking the following Pay My Bill link, you will need to log in with your scholar ID and pin. Prospective students will register for courses at Hawk Orientation and receive additional information regarding their bill and payment options. The following link outlines the fee structure for traditional main campus students. Students must have settled all financial obligations to the University in order to receive grade reports, have a transcript issued, or be granted a diploma. Because of the uncertainty of economic conditions and changing prices of food and other costs, the University reserves the right to vary charges at any time, including during any session, without prior notice. The registration of a student signifies the assumption of definitive obligations between that student and the University. It is an agreement on the student’s part and that of his parents to fulfill the terms of the contract for the semester, and indicates acceptance of financial and general regulations of the current catalog. Accounts for the semester are payable as specified in the schedule of payments and in full before completion of registration. The University may assess interest at the rate of 1.0% per month (an annual rate of 12%) on accounts unpaid according to these terms. Such interest will not be levied, however, on balances which will be settled during the semester by federal, state or university grants and loans. Shorter University cannot assume responsibility for loss or damage of personal property on the campus. Ordinarily the insurance coverage of a parent automatically provides for this or can be extended for this purpose. No salespersons are permitted to canvass on the campus without prior written approval. Book salespersons must secure written approval from the Provost; all other salespersons must secure written approval from the Senior Vice President.